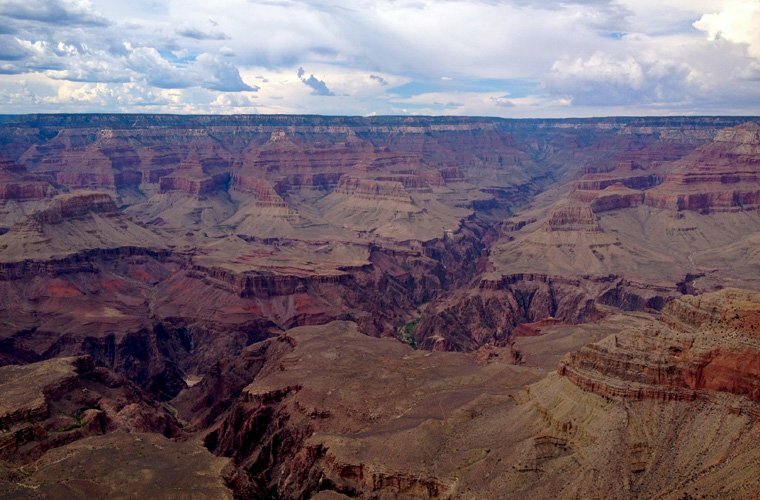 The history of the Kenan Foundation Asia dates back to a chance encounter during the 1920s, when King Prajadhipok of Thailand and Carl Grey, a member of the prosperous Kenan family met at a gift shop near the Grand Canyon in Arizona. With their long history of philanthropy and public service, the Kenan family has been active in Thailand ever since. Kenan was established in 1996 as an independent, locally registered organization with the belief that long-term development can best be achieved through free enterprise mechanisms, boundary-spanning partnerships, and practical expertise. 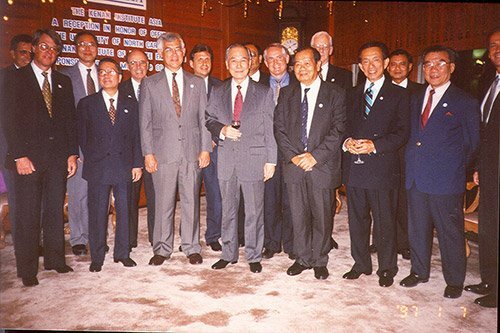 With former Prime Minister Anand Panyarachun serving as founding chairperson, Kenan began by fostering development partnerships between U.S. and Thai organizations. Today, Kenan is a thriving organization employing over 80 full-time staff at our offices in Bangkok, Thailand and Hanoi, Vietnam. While Kenan’s focus has shifted over the years, in response to Southeast Asia’s transformations, as well as natural and economic disasters, Kenan maintains the same commitment to empowering people with the knowledge, technology and skills necessary for a better future. Currently, Kenan is partnering with a wide variety of organizations, including the Thailand Ministry of Education, the Thailand Ministry of Science and Technology, USAID, the US Department of State, Boeing, the Citi Foundation, Chevron, and Coca-Cola, to achieve its vision. In 1901 Mary Lily Kenan married Henry M. Flagler, the co-founder and guiding force behind the great Standard Oil Company. The Kenan family had originally migrated from Ireland to North Carolina in 1730, where they became strong supporters of education, and helped to found The University of North Carolina. When Mary Lily Kenan died in 1917, she left the bulk of her fortune to her brother, William, who continued his family’s legacy by creating the William R. Kenan, Jr. Charitable Trust, which laid a foundation for generations to come. The history of the Kenan Foundation Asia dates back to a chance encounter during the 1920s, when King Prajadhipok of Thailand and Carl Grey, a member of the Kenan family, met in a gift shop in Arizona. The Kenan family has been active in Thailand ever since. 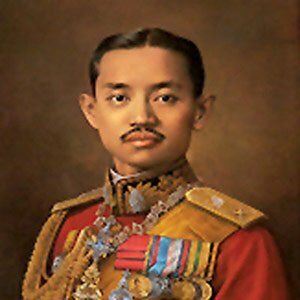 Kenan’s founding was a response to Thailand’s incredible development as a market-based economy between 1970 and 1990. Rapid growth changed Thailand’s view of itself from an under-developed country in need of outside assistance to one not only capable of helping itself, but able to assist its neighbors as well. This view was strongly supported by key Thai technocrats involved in national economic and social development led by Prime Minister Anand Panyarachun. The director of the USAID mission in Thailand in 1990, Mr. Tom Reese saw that Thailand’s rapid development had created both opportunities for more market-based U.S. services and technology, as well as the need for solutions to problems created by such accelerated development. These problems included environmental pollution, uneven development, the emergence of new and re-emerging public health threats, such as HIV-AIDS and drug resistant malaria, and an inadequate education system. At the same time, Thailand’s rapid business growth and rising foreign investment sparked interest among American business schools, including the Kenan-Flagler Business School at the University of North Carolina, Chapel Hill. Dr. John Kasarda, the director of the school’s Frank Hawkins Kenan Institute of Private Enterprise (KIPE), was particularly interested in getting the university involved in the business boom in Asia and saw Thailand as an attractive place to start. Demonstrate new, more private sector-oriented ways of assisting development through support for US-Thai partnerships. 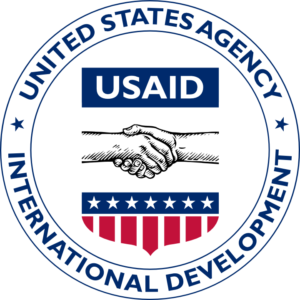 Develop an institutional arrangement that would provide ways to continue this sort of assistance after the closure of the USAID bilateral mission in Thailand. 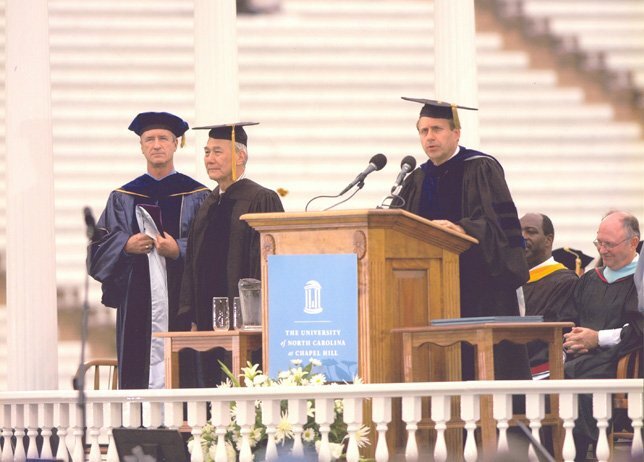 Kenan is established in 1996 with the support of the Thai Government, USAID, the William R. Kenan Jr. Charitable Trust and the Frank Hawkins Kenan Institute of Private Enterprise at the University of North Carolina at Chapel Hill. Khun Anand agreed to serve as the founding chairman and helped recruit a high-level Thai and American board of trustees. Representing the two governments were Mr. William Itoh, the US Ambassador to Thailand, and Mr. Pichet Soontornpipit, director-general of Thailand’s Department of Technical and Economic Cooperation. Kenan began work along the lines set by the US-TDP – fostering Thai-US partnerships on projects that included recycling steel slag, producing low-cost HIV diagnostic kits, designing a waste water treatment plant, and generating electricity from landfill gas. Numerous training projects built capacity in public health, environmental management, municipal management and information technology. 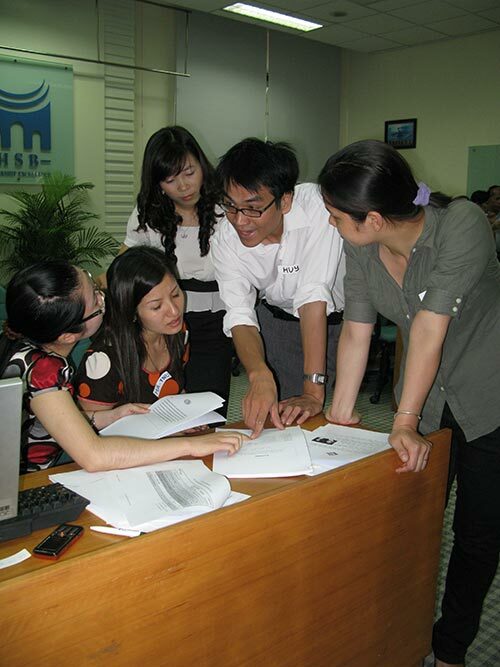 Kenan implements its first regional project introducing American environmental technology to Vietnam. Kenan was selected by USAID to manage a program of economic recovery and reform called the Accelerating Economic Recovery in Asia (AERA). Kenan begins offering corporate social responsibility trainings and related services to companies operating in the Greater Mekong Subregion (GMS) region. Kenan begins implementing the Tsunami Recovery Action Initiative a comprehensive five-year plan designed to promote sustainable tourism and entrepreneurship to areas affected by the 2004 tsunami. Kenan begins work on STEM Education with funding from Merck Pharmaceutical with the INSTEP project. TRAI implements entrepreneurship initiatives for young people in Phang-nga Province to encourage them to start their own businesses. USAID awards Kenan a major grant to conduct cross-border public health work in all the countries of the GMS. Kenan partners with the Thai Office of Small and Medium Enterprise Promotion to assist at high-level policy discussions held for Asia-Pacific economies. 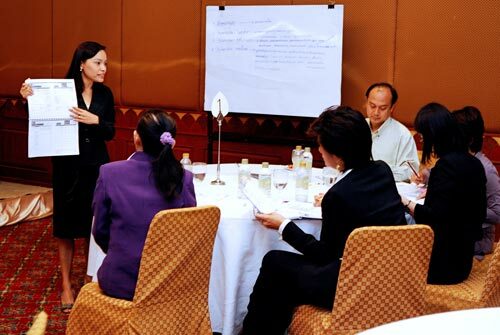 Kenan works with the UN Democracy Fund to implement the Laos Encouraging and Applying Democracy in Lao PDR. 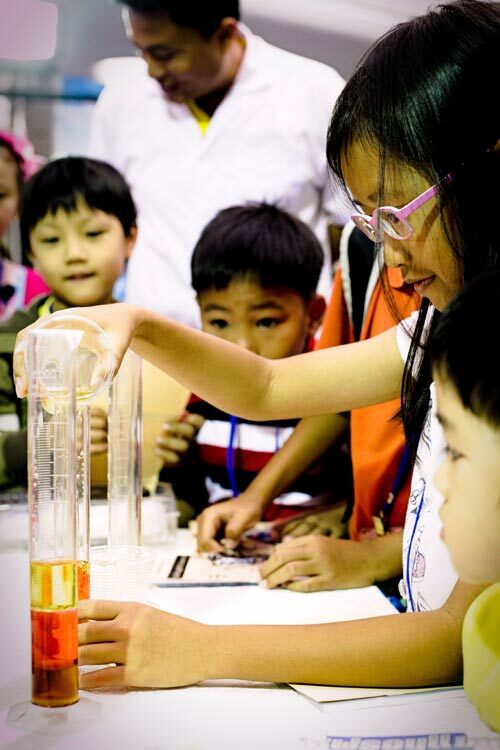 Kenan begins working with the Thai government to implement its STEM inquiry-based education curriculum in classrooms across Thailand through UPGRADE. Kenan registers to open an office in Hanoi, Vietnam providing a second base for expanded regional operations. Kenan partners with Chevron to launch the Chevron Enjoy Science Project, a US $30 million, 5-year public-private partnership to strengthen Thailand’s competitiveness and innovation by improving science, technology, engineering, and math (STEM) education and technical vocational education and training (TVET) across the country.